Mom and Dad had a lot of work to do around the house, so I decided to help them out by asking to go to Yaya's house. Mommy met Yaya and Hinckpa halfway and made the switch on Friday. Today, Yaya and Hinckpa took me to the Berkshire Museum where I told them everything I know about the reptiles that were there. I pointed out a Boa Constrictor Snake on a chart and then brought Yaya across the room to show her which one was "the same one!" 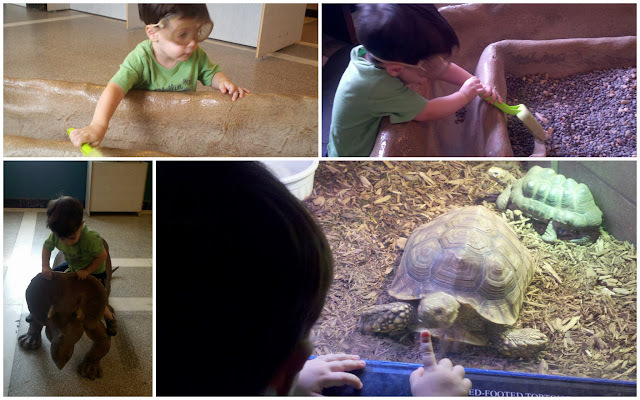 I had an amazing time looking for dinosaur bones and watching all of the animals get there food. Thanks for a super fun day that I will be telling Mommy about for weeks! My grandparents (Nonni) Nonna and Nonno came right over to see me when I got to the Berkshires and brought me ice cream cones! I love it when Hinckpa takes me in the woods (that I also sometimes call "the jungle") to see the stream. I ask him to bring me down the as soon as I wake up and then about twenty more times during the day. I fit perfectly on the little stone next to the frog pond near the stream! Today, I took my first trip to Boston's Harbor Islands for some fun in the sun. After a quick ferry trip, we climbed a big mountain (at least to me) and had a picnic with a wonderful view of the city. After that I am told we took a ferry to another island with a cool fort, but I fell asleep on the way there. 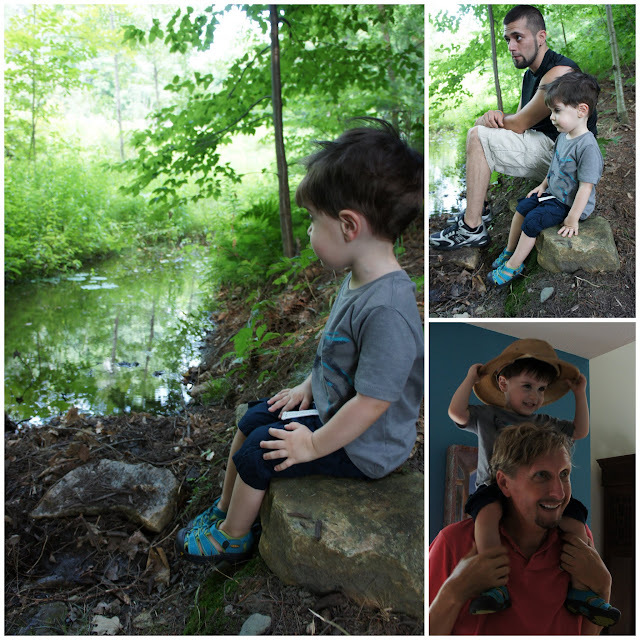 Daddy stayed with me under a shady tree while Uncle Kyle, Auntie Julie and Mommy explored the fort. The lemurs were especially cool because you could walk right into their enclosure and even pet them if you're brave enough. I said, "Look! That's an aye aye!" which impressed mommy and daddy because they do look sort of similar and I've never actually seen an aye aye in person, just on one of my favorite nature shows. Right at noon like clockwork, all three boys (even Enzo) decided they were starving and wanted lunch. 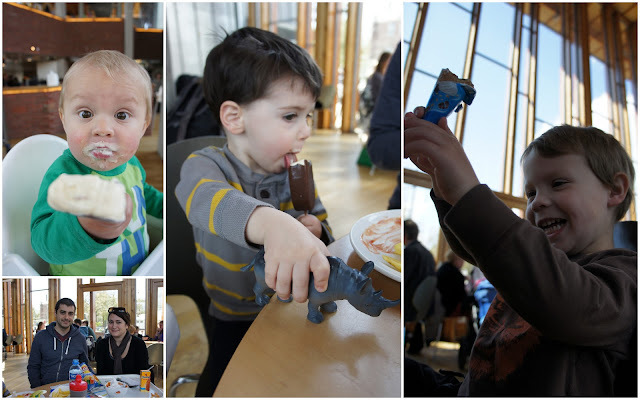 After some zoo cafe happy meals complete with zoo animal toys, the boys enjoyed some ice cream. This trip may be referred to as "the trip that got Enzo eating ice cream again." Thanks for making it look so yummy Charlie! Today we visited a merchant and shipping museum, and got to learn all about the merchant history of Amsterdam. We didn't care about the history too much, but we loved climbing on the big whale that highlighted Amsterdam's whaling heritage. We got to play in the undersea room, and watch a small play in Dutch - I clapped when the characters were clapping, but none of us really understood it, but that's okay. Here I am walking on a replica of The Amsterdam, a three masted merchant ship. 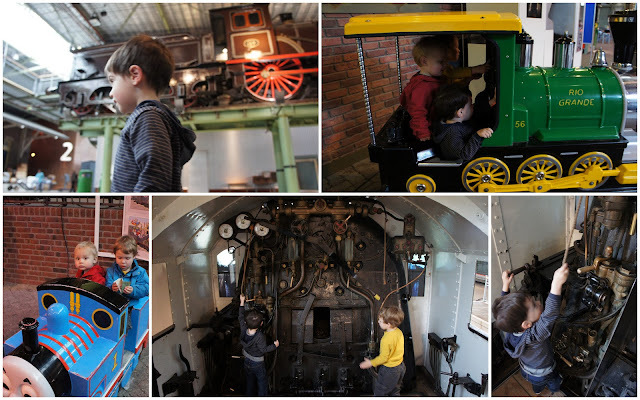 Today, we took a tram to the commuter train to Utrecht to the train museum (Het Spoorwgmuseum) to see and climb on tons of cool old trains. The dads took the boys while the moms went shopping in the cute little city center. We also stopped at a Nijntjy (aka, Miffy) Museum, but I was napping. After, we had a really nice dinner that Ollie and I refused to eat, but Charlie clearly enjoyed his meal. Yes, the date on this post is correct! 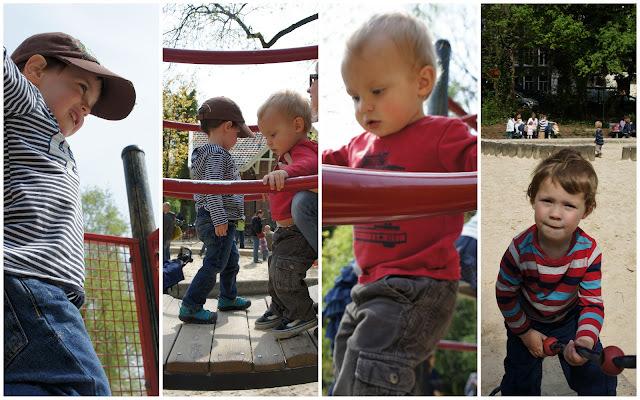 Another playground on May 2nd! 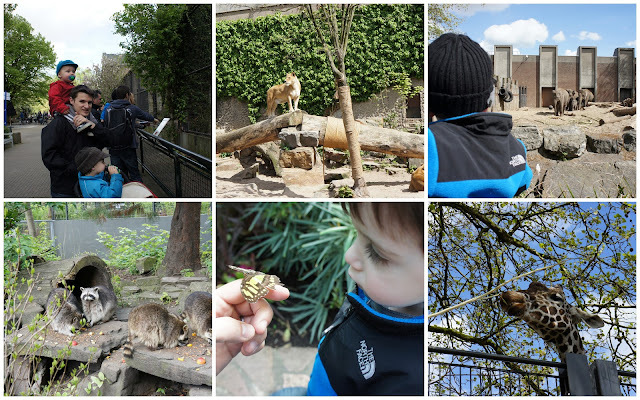 After lunch we shopped some more at Hema (the Netherlands version of Target) and then went to see the cool plaza and playground outside the world famous Rijksmuseum. When I was climbing (like a daredevil as usual) up the crazy log climbing structure I told mommy, "I be gecko!" 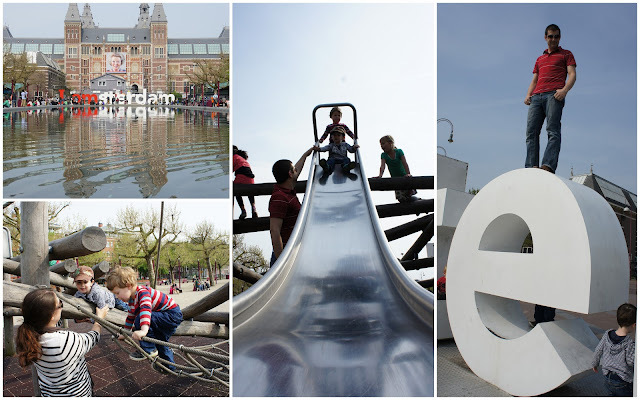 Then, we went to climb the cool I amsterdam letters! I picked the letter e in Amsterdam of course! This is mommy's favorite photo so far!